Primary Intelligence enables more than 18,000 product management, marketing, sales, competitive intelligence, and customer experience professionals across more than 30 industries to hear the voice of their buyers. It’s all possible thanks to our TruVoice software, proven methodologies, and exceptional people. Our advanced Win Loss and Customer Experience methodologies and technology are beyond anything else offered in the market today. These proven methods give our customers a competitive advantage through much deeper buyer and customer insights. The results? Significantly increased win and retention rates and exponential revenue growth. 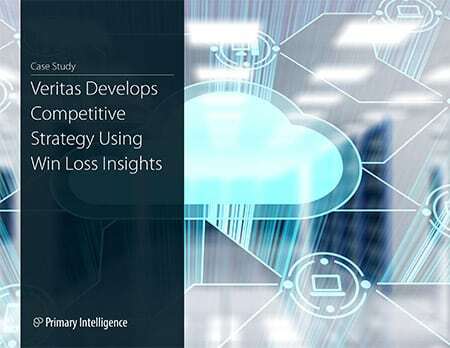 Veritas Technologies leveraged a Primary Intelligence win loss program to improve competitive positioning, enhance product management, tailor custom pricing, and identify critical accounts. 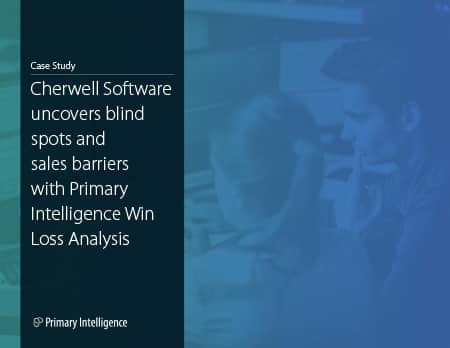 A leading software technology company discussed why Primary Intelligence’s sample outreach program helped them succeed using Win Loss Analysis and how consistency in scheduling is key to every successful Win Loss program. An auto collision/claims software company was looking for a solution that would enable them to win more deals and increase revenue. This aviation operations support company began seeing a dramatic increase in competition in their space. They wanted to determine how to further improve their efforts to stay ahead of the competition. A VMS leader wanted to fine-tune their performance with clients to makes sure they stayed ahead of the competition. The company wanted to not only meet their customers’ needs, but to exceed them. The company could not pin down why they were winning and losing deals. All information was anecdotal at best. The company felt it needed a clearer picture on what made prospects interested in their solution compared to the competition. Primary Intelligence uses its own services to find a root cause of poor responsiveness scores from a client. Discovery services, which interviews both the prospect and the sales professional, helped Primary Intelligence avoid trying to solve the wrong perception. 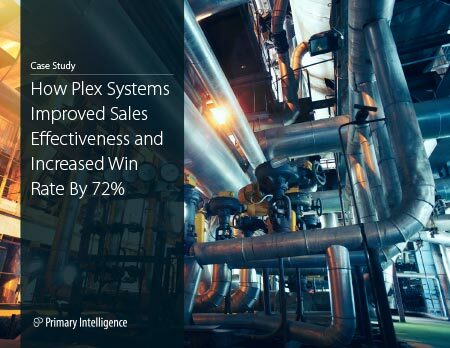 Sales consulting firm discovers valuable return on investment through win loss program.